The inception of the Indian History Congress (IHC) can be traced to the efforts of scholars working on India’s ancient past as well as modern history, in a bid to counter the colonial claims, while also drawing from Western analytical methods. The Bharata Itihasa Samshodhaka Mandala (BISM) was one such effort that owed its origins to the stalwart Vishwanath Kashinath Rajwade. He founded this institution in 1910 in Pune with the support of K C Mehendale. Another major institution was the Bhandarkar Oriental Research Institute founded in 1917 by R G Bhandarkar. The first All India Oriental Conference in November 1919 in Pune under the Bhandarkar Institute’s auspices focused exclusively on ancient Indian history. The BISM organised an All India Congress in 1935 to celebrate its silver jubilee. The event organised in the assembly hall of Parasurambhau College, Pune, was a resounding success. The Indian History Congress (IHC) was thus born with about 50 delegates. In his presidential address, the eminent scholar from Allahabad, Shafaat Ahmad Khan outlined the IHC’s role. It was to be an academy that regulated the standard of works of history produced in India and would promote impartial and substantive history. This commitment to a fair and scientific history, devoid of bias and politics, has remained the hallmark of the Congress. Over its 83 years of existence, the IHC has faced a variety of challenges, ranging from the initial efforts at devising an institutional structure to financial dependence on government funding as well as occasional political interference. The decade after its formation was fraught with political instability caused by World War II and the new turn in the Indian freedom struggle. The next two decades were perhaps the toughest given the post-Independence challenges — dearth of funds and lack of membership led, at times, to the IHC’s presidents saying that the body might not remain viable as an institution. However, from the 1970s, the Congress appeared to have attained a visible status as the premier body of historians across the country. The post-Independence period was also the time when the IHC began to challenge the nature of public historical debates in India. It passed significant resolutions regarding the protection of monuments of historical importance and the role the government and Archaeological Survey of India should play in their preservation. In fact, in 1946, it petitioned the government to allow researchers access to archives. Later, in 1977, the IHC cautioned against the use of communal rhetoric in public life and the dangers of political appropriation of monuments. The IHC also began to engage with the history taught in schools and colleges. In 1948, it resolved to contribute to the syllabi in universities and colleges across the country. Decades later, the efforts to rewrite history textbooks from sectarian and communal viewpoints were debated at the 53rd session at Warrangal and the 62nd session at Bhopal. The ‘Proceedings of the Indian History Congress’ have been published annually without any break, a rare achievement for any independent professional body. 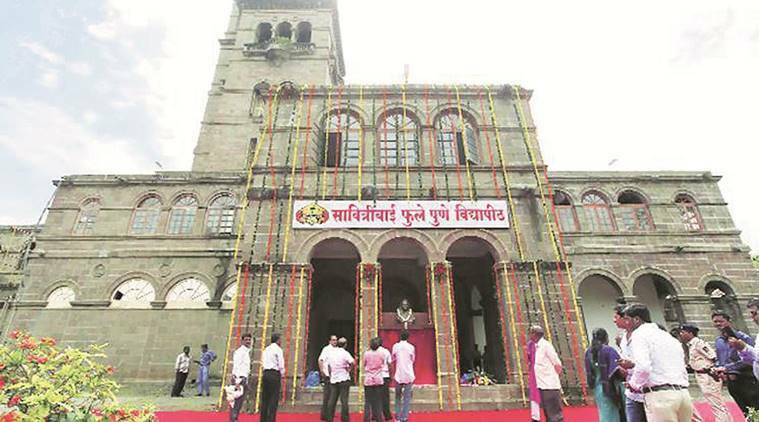 It was with a justifiable sense of pride, and much expectation, that the proposal of the vice-chancellor of Savitribai Phule Pune University (SPPU) to host the 79th Session of the IHC was accepted by the executive committee in December 2017 — Pune is the institution’s birthplace. This year, the number of scholars who had taken or renewed their membership from Maharashtra alone numbered around 400; about 1,200 delegates were expected. A large number of people had paid the local delegate fee, made travel arrangements and spent considerable effort in researching and writing their papers to be presented at the Congress. However, on December 12, the SPPU announced that it was calling off the event with insensitivity towards the losses and inconvenience suffered by delegates, both from home and abroad. The subsequent misinformation and contrary statements by functionaries of the university only added insult to injury. This is unprecedented in the annals of the IHC. The only times when sessions were not held were in times of national exegencies — 1942, 1962 and 1971. The three-day Congress in Pune was to have been inaugurated yesterday. We hope the SPPU and Maharashtra’s economy prosper enough for it to host the session in the not-so-distant future, as the ostensible reason for calling off the IHC was the lack of finances. The IHC’s 79th session will definitely be held, at a later date and at a different venue.